A Video Pipe Inspection consist of running a video camera through the below the ground plumbing and determine the status of such pipes. A recording of this inspection with verbal commentary will be placed on a DVD and given to you at the end of the inspection. Simply contact House Call at 1-800-905-1558 or fill out the request a Video Pipe Inspection form located at the bottom of the section. 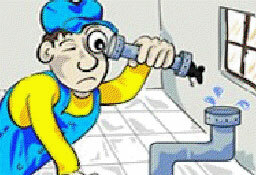 Fill out the form below to schedule a video pipe inspection.